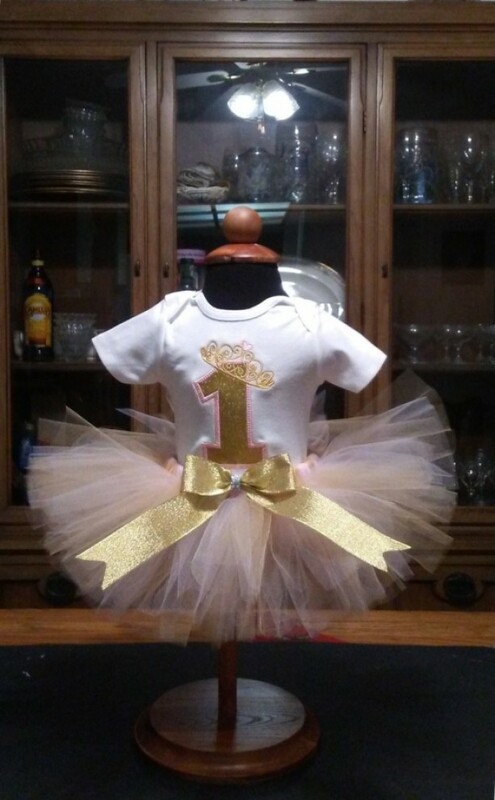 Beautiful custom made pink and gold 1st birthday tutu. The bodysuit is professionally machine embroidered/appliquéd with a number one and tiara/crown in sparkly gold metallic machine washable vinyl. The tutu is hand tied on a non-roll elastic band and embellished with a pretty gold metallic bow. Just perfect for a 1st birthday celebration! This is available in other colors as well. I have thousands of other designs for both girls and boys. Let me know if you are looking for something in particular!